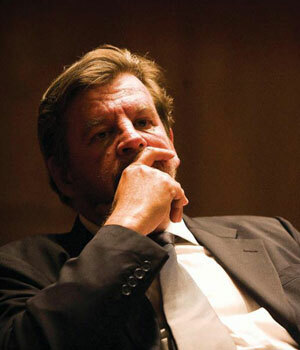 Johann Rupert, the chairperson of Richemont. Swiss luxury goods group Richemont [JSE:CFR] and Chinese e-commerce giant the Alibaba Group on Friday announced a joint venture to launch a luxury retail platform for Chinese consumers. The JV will bring retail offerings of the YOOX NET-A-PORTER Group, or YNAP, which is owned by Richemont, to the Chinese market. “Under the partnership, YNAP and Alibaba will establish a joint venture to launch two mobile apps for YNAP's NET-A-PORTER and MR PORTER multi-brand, in-season online stores for consumers in China. Alibaba will provide technology infrastructure, marketing, payments, logistics and other technology support to the JV,” said Richemont in a statement on Friday morning. Johann Rupert, the chairperson of Richemont, said: "Chinese customers at home and abroad are an increasingly important customer base for Richemont and for the broader luxury industry. Our digital offering in China is in its infancy and we believe that partnering with Alibaba will enable us to become a significant and sustainable online player in this market."